Ladies, learning to golf this year? Why you need your own clubs. Golf clubs are not all the same. The worst thing you can do for your development is tell yourself you will buy a set of golf clubs once you get better. The truth is you will get better sooner with a set of clubs fitted for your skill level and body type. 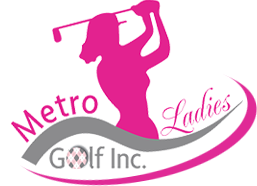 Ladies golf clubs are lightweight with graphite shafts, shorter, more flexible and have smaller grips. These features will suit many females out there. There are plenty of community sites where people are selling their used clubs, but to ensure your success check out your local golf stores to get the best information. Sales staff have a great deal of knowledge on all brands and will be able to sift through all the information you have read. Plus, buying from a local store instead of online will also ensure you are covered in the event of a manufacture’s defect. Male friends, partners or relatives have the best intentions when they lend you a set, but chances are the clubs are not going to do anything for your game. You wouldn’t borrow your grandfather’s old hockey skates to learn to skate, but unfortunately this is what I see many women bringing to the driving range or lesson. Best value: The golf club industry makes pre-packaged sets including the bag and putter the most affordable option. Since most beginners cannot imagine using 14 clubs during a round of golf you could split a full package with a friend. You would then only need to buy an extra putter, sand wedge and bag. Get your clubs custom fit: Custom club fitting is often a free service offered at most golf stores. They will ask you a little about your golf background, measure your height and swing speed. This information will allow them to recommend or special order a set specifically measured to you. Most females will benefit from having ladies’ standard clubs, but if you are taller or shorter they can be adjusted. Also, stronger females may need to have less flexible shafts in all their clubs. Sand wedge: Every golfer needs a sand wedge. These clubs are designed specifically to slide through the sand and get the ball out. These often come in pre-packaged sets or can be purchased individually. These clubs should also meet your specifications. Putter fitting: Many of us could benefit from improving our putting and this starts with having a properly fitted putter. Believe it or not the way we stand over a putt affects the type of stroke we make. The lie of the putter, grip size and placement of the shaft into the blade are things to consider when selecting a putter or making adjustments to yours. Grips matter: If you get a second hand set of ladies clubs check the grips for wear and tear. Temperatures, sun and rain can quickly wear down the grips. Grips should be soft to the touch and allow you to control the club without feeling like you need to grip too hard. Depending on how often you play, the grips need to be replaced every year or two. Washing your grips throughout the season in warm soapy water will prolong their life and performance. Make this the year you get into golf. Golf professionals are not the only ones that can benefit from having the newest club in their bag. Happy shopping!